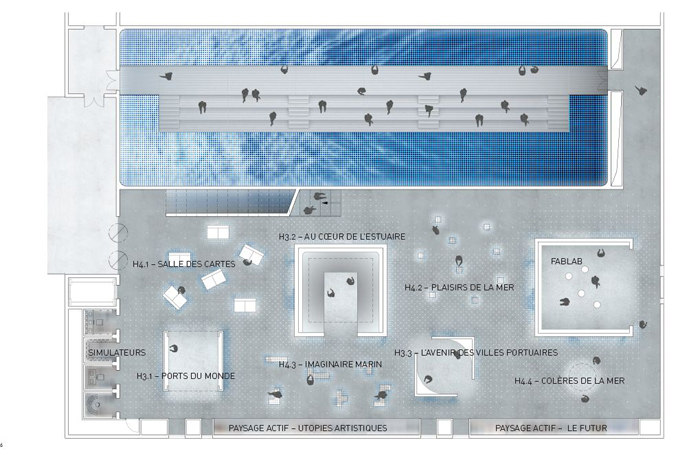 Odyssey 21 is the laureate project of the RFP initiated by the city of Le Havre for the scenography of the new center of the sea and sustainable development that is still in development by the city. 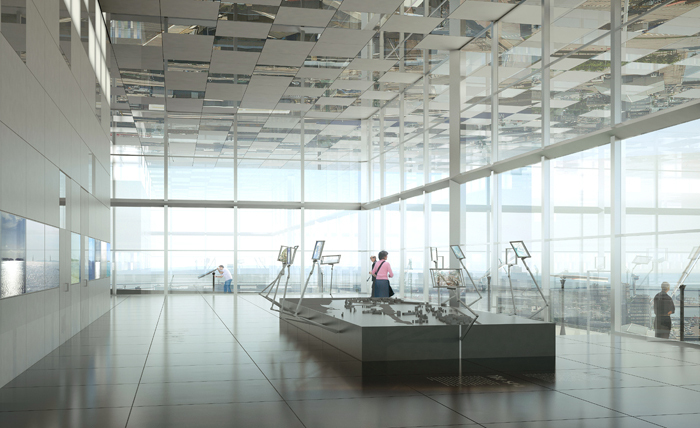 Led by the architecture agency Projectiles, our project is a desire to immerse the visitors into a liquid world organized around a virtual horizon. 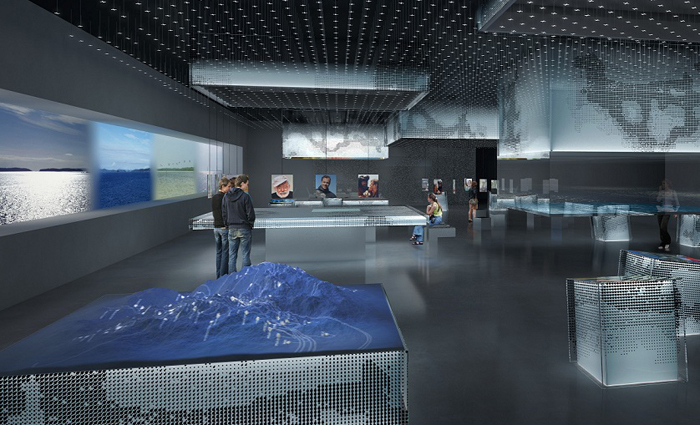 This horizon become the landmark of an ensemble of interactive landscapes, transforming the visitors in the actors of the evolution of the sea and its exploitation. 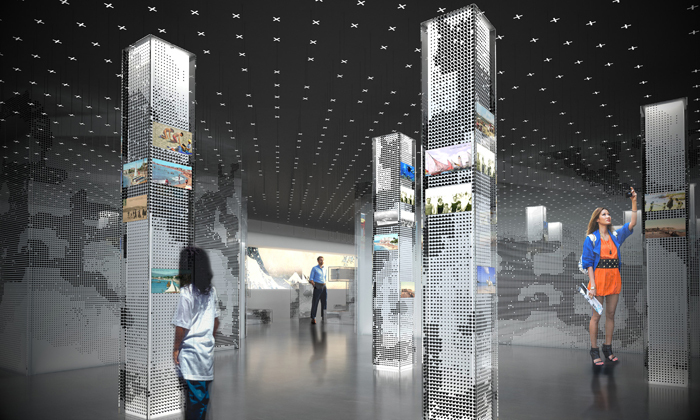 Nodesign and I were in charge of the design of the interactive elements of the scenography and the global visitors experience. 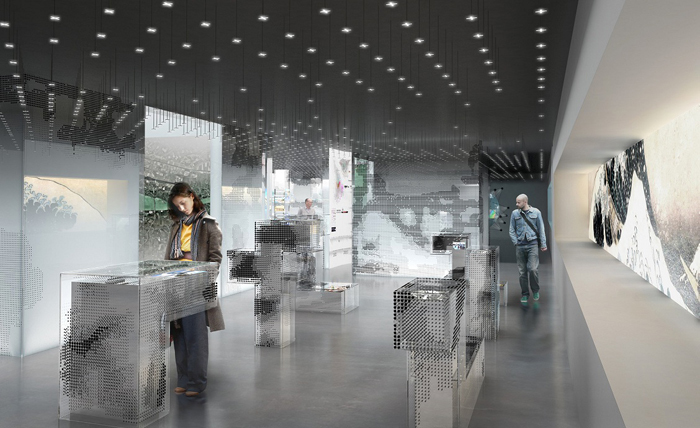 Our goal was to build a series of strongly visual and sensorial moments where visitors “understand by doing”. Experiments and discoveries were for us mandatory as the visitor is not visiting a part of the past, but the world of today where he is already a major actor. 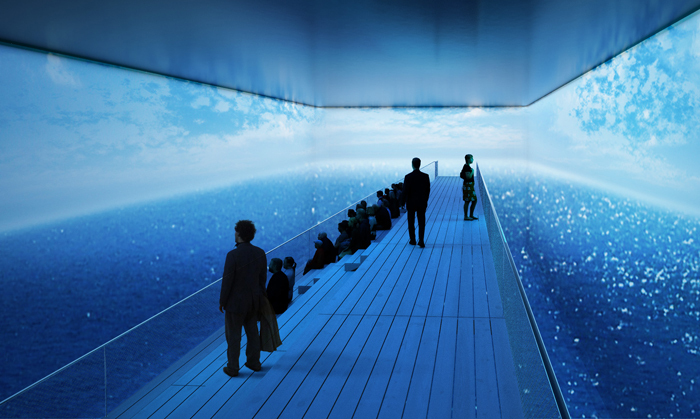 It portrays life info on the nearby port to create a connection from the inside. This entry was posted in UX Design. Bookmark the permalink.